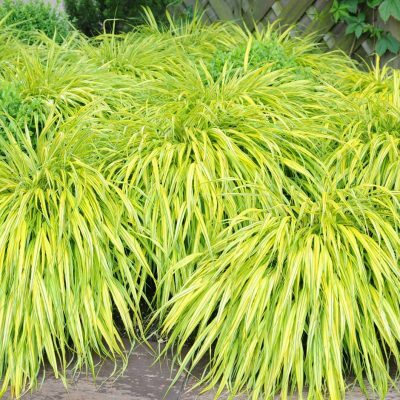 Carex oshimensis ‘Evergold’: A wonderful low growing clump forming evergreen variety. With emerald green thin leaves with a golden yellow central stripe. Dose best in semi-shade, with humus rich soil but will cope with some drying out. 30 x 40cm, small flowers with brown tusks 40cm. 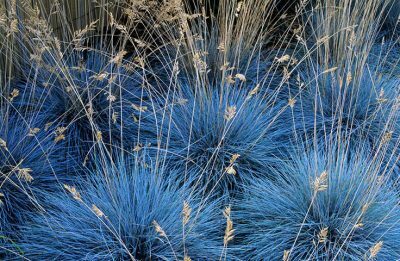 Festuca glauca ‘Elijah Blue: A superb low clump forming grass for the dry garden with dense tufts of fine blue-grey evergreen foliage. With strong upright flowers with steely blue heads fading to a light tan are produced in June. Grows well in free draining soil in full sun. 20 x 30cm flowers 40cm. 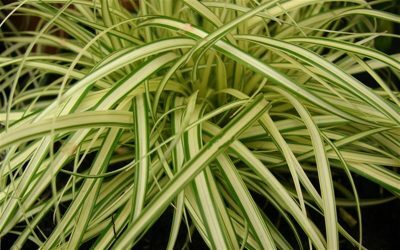 Hakonechloa macro ‘Aboaure’: A medium sized lax clump forming grass that has a real wow factor for a sunny or semi-shade spot. Clumps of shaggy light green leaves with golden stripes with red tints in the autumn. 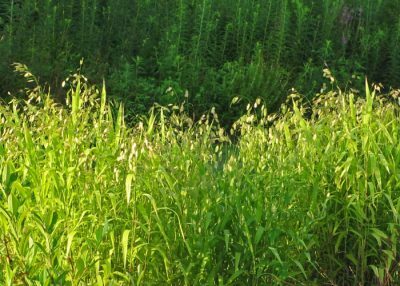 This deciduous grass likes a good humus rich soil that will not dry out. Flowers are needle like spikelets are produced August to October. 30 x 45cm flowers 35cm. 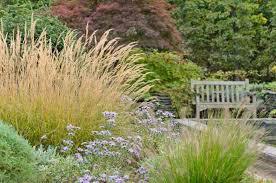 Miscanthus sinensis ‘Gracillimus’: A distinctive grass which is a worth while addition to any garden. It is particularly useful in a small space for screening and adding privacy. Clumps of grey-green arching leaves reaching to 1.20m high that have an attractive orange tint in the autumn. Plumes of white twisted flowers are produced on slender stems July to October. This grass looks very good with winter light and frost and is a good over winter habitat for wildlife. Full sun to dappled shade. Grows in most soils but does not like to dry out. 1.20m x 1m x flowers 2m. 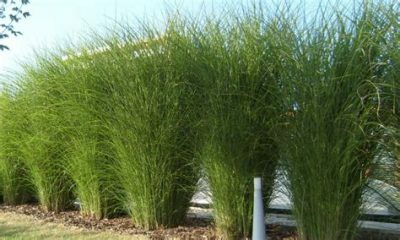 Stipa Gigantea: A striking grass that makes a good focal point: It forms a large clump of evergreen foliage, with thin grey arching leaves. By mid June stems arch above the clump, with delicate flower heads of golden oat like flowers. 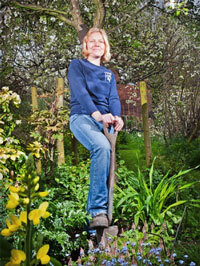 This grass needs full sun and is draught resistant and needs free draining soil to thrive. 75Cm x 90cm x flower 2.m. Sweeps of glasses make a dramatic planting. 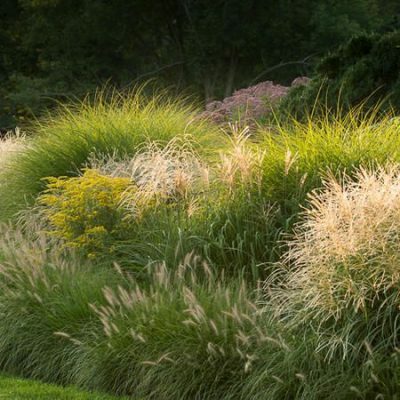 There really is a grass for every garden situation from the damp shady corner to the dry shade of a woodland area to the thin soils of the coastal garden and the boggy wet area of heavy soils. To the full sun of a chalky bank, all will find a grass to inhabit it. They can be used as focal points or statement plants, as a privacy screen or a low growing sweep of foliage colour and texture though a woodland planting. They look wonderful planted on mass or as an important addition to a well planed planting scheme. They are widely versatile plants that are easy to grow, and Should have a place in nearly every garden. So I hope I have inspired you to look at grasses in a new light. 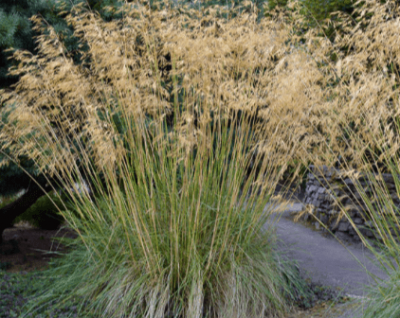 This entry was posted in Gardening Thoughts, Gardening Tips and tagged grasses on October 1, 2018 by Emily.